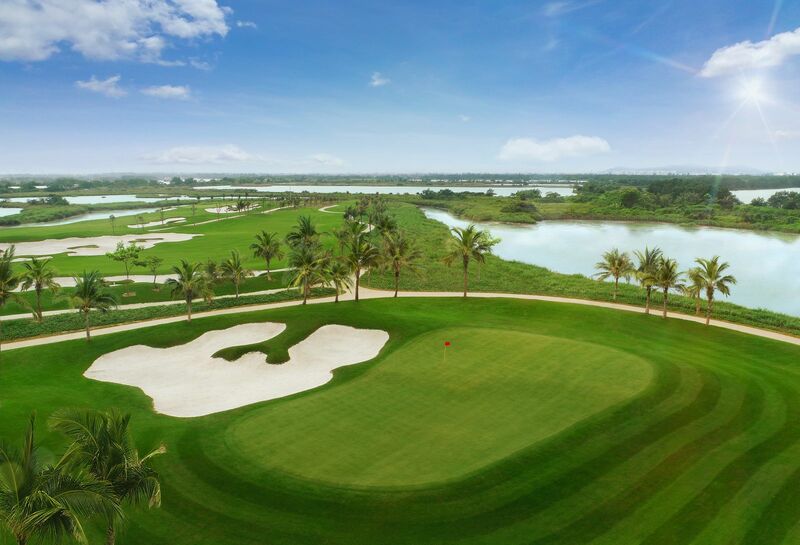 Vu Yen golf course, a part of the Vinpearl Hai Phong Ecological Project of the Vingroup, officially opened on April 29th, 2017 and became the largest island golf course in Vietnam. 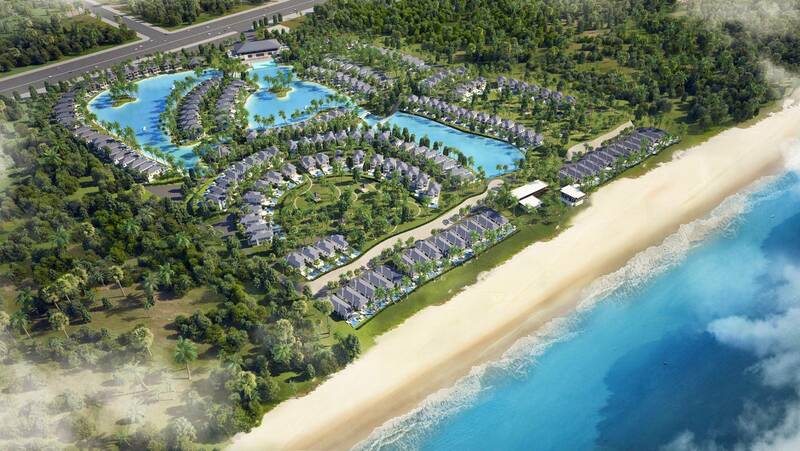 Only 120km away from Ha Noi capital, approximately 1 hour traveling by car and right next to Cat Bi International Airport, Vu Yen golf course is an ideal destination for customers to enjoy the high-end services. 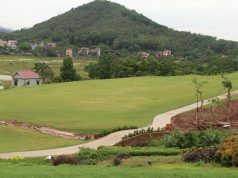 With an area of 870 ha and a total investment of 19,000 billion VND, Vu Yen golf club is surrounded by 2 beautiful rivers (Da Bach and Cam) of the Red Flower city. 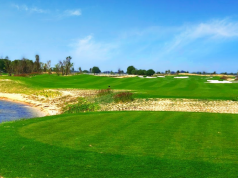 Another name is Vinpearl Golf Hai Phong, it consists of 2 separate courses, which is Lake Course (18 holes) and Marsh Course (18 holes), designed and constructed by IMG Golf to utilize the natural landscapes, making the difference and difficulty for each golf hole. The Lake Course has an open space with long fairways and green, while Marsh Course is a challenge to overcome the natural swamps here. 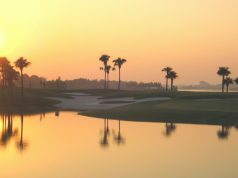 Golfers of any level can have a chance to challenge themselves with this standard par 72 golf course and experience the unique features. 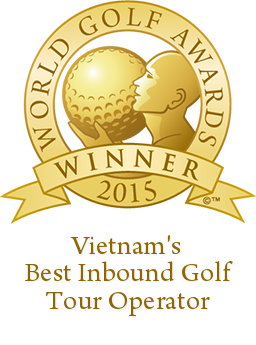 Despite of the short time of operation, Vu Yen golf course still offers various and necessary golf services such as a spacious Clubhouse, 300-yard driving range, caddie service, golf teaching, golf equipment for hire, pro shop, restaurant & bar. 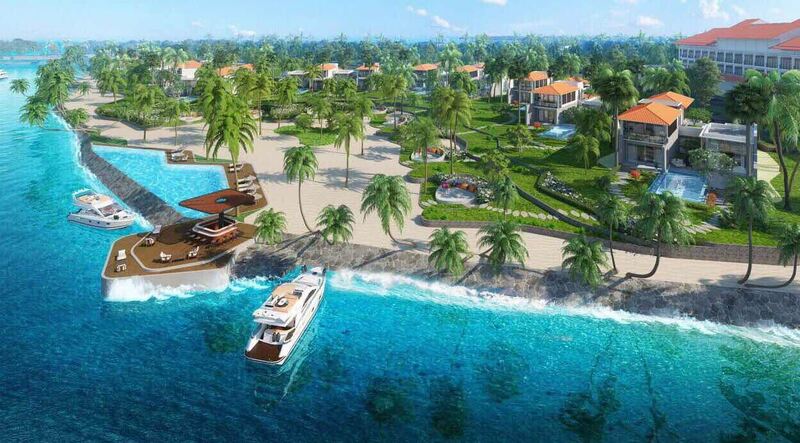 Come to Vinpearl Hai Phong, customers will not only be entertained with exciting golf games but also enjoy the high-class facilities in the Ecological Villas, Ecological Park, Entertainment and Shopping Complex, all in the beautiful Vu Yen island of the Port city. 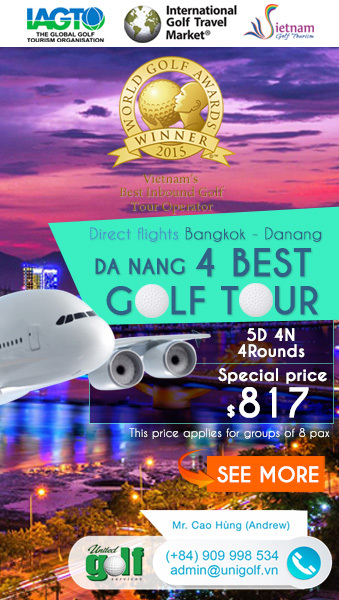 With an ideal ecotourism destination, a world class golf course, a complex to play and shopping in Vu Yen Island, Vinpearl Hai Phong is truly a good reason for you to pick up your golf bag and go at once!